Sure, he can pull a sword from a stone, but can King Arthur dice vegetables? The once and future king is usually known more for his sword skills than his knife skills. But surely someone had to fix dinner for the Round Table! This week, we discover how feasting has played a crucial part of the Arthurian legends. Learn how feasting was a critical component of medieval European hospitality with origins in some of the earliest known English literature. 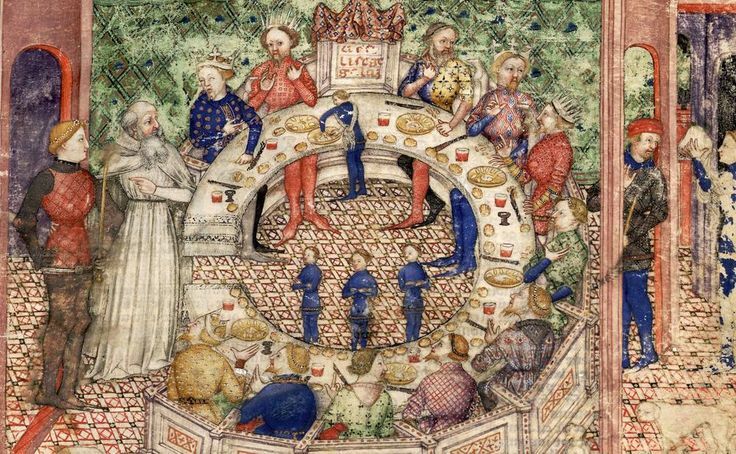 From Beowulf to King Arthur, we'll discover the must-have dinner party skills of any medieval host or hostess. We'll also dig deep into one epic 15th century account of Arthur's dinner table, featuring everything from roast porcupine to a poison-preventing wine goblet. Join us for a one of a kind culinary trip into the legend of King Arthur.